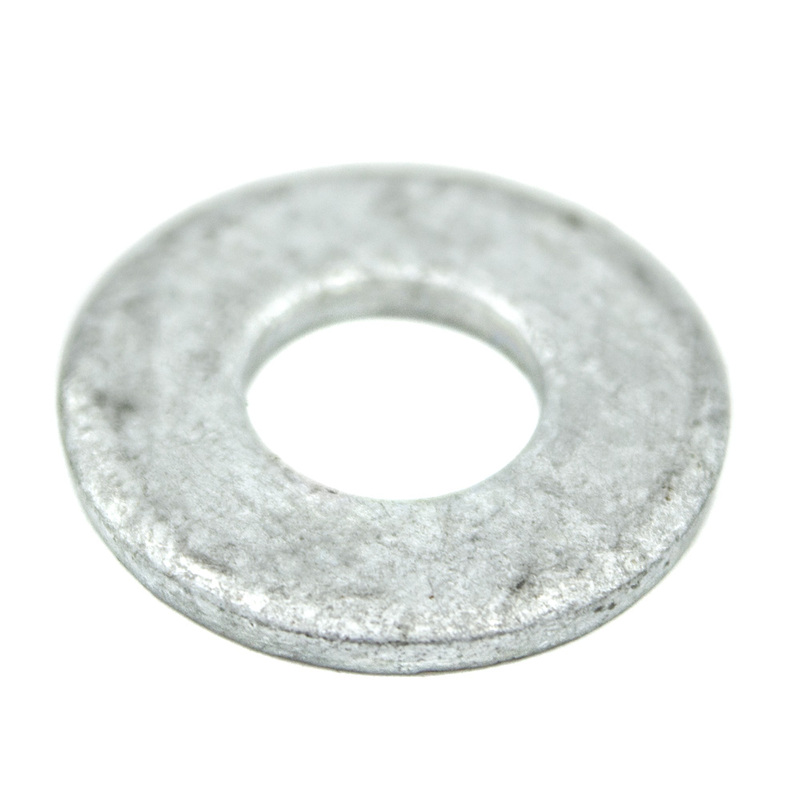 This 3/8" washer slides onto the 3/8" x 3-1/2" hex head bolt and is fastened with the 3/8" locknut. The bolt assembly is designed to keep your 90° Premium track trolleys from sliding off of the end of your 8' Premium track system. This 3/8" washer slides onto the 3/8" x 3-1/2" hex head bolt, which is designed to keep your 90° Premium track trolleys from sliding off of the end of your 8' Premium track. 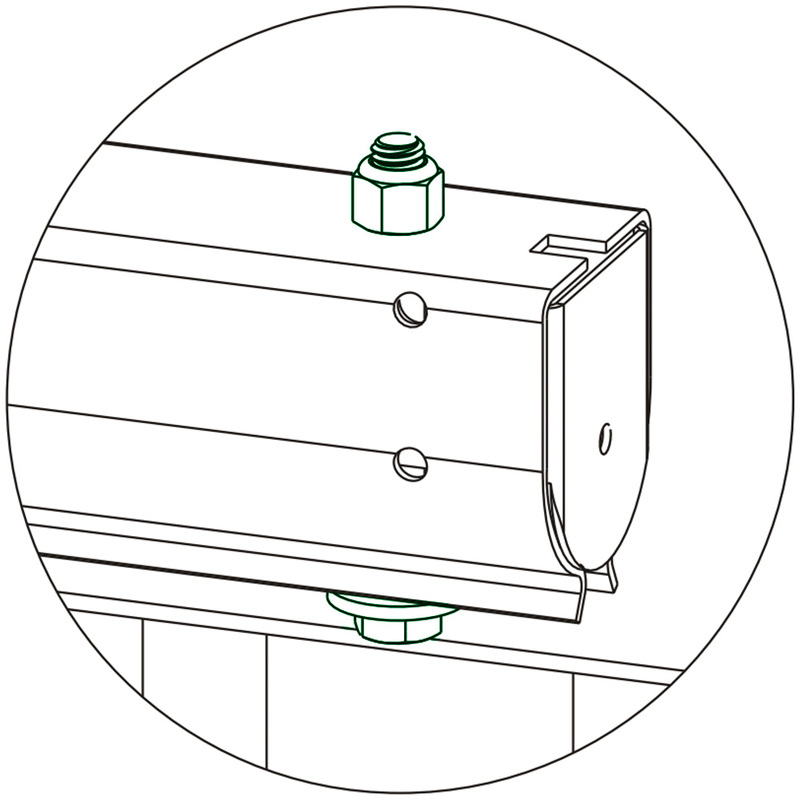 Installation: On the end opposite of latch, slide the 3/8" trolley stop washer onto the 3/8” x 3-1/2” hex head bolt, then feed bolt up from the bottom opening in track and through the hole in the top of the track. 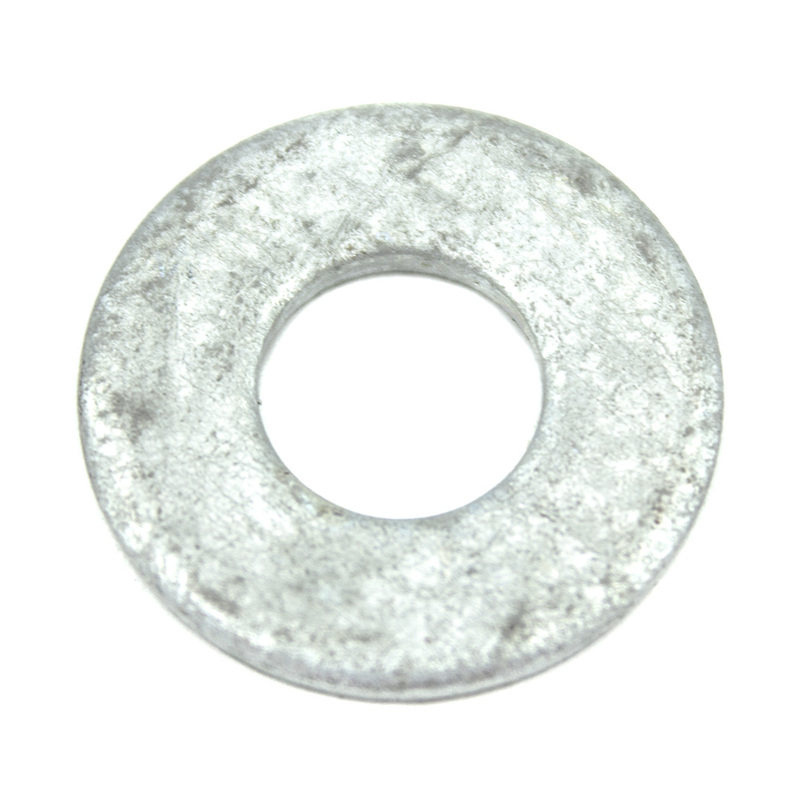 Fasten your hex bolt with the 3/8" trolley stop locknut. After your bolt is in place, you can snap in your Premium track end caps to help keep the dirt out of your track system.